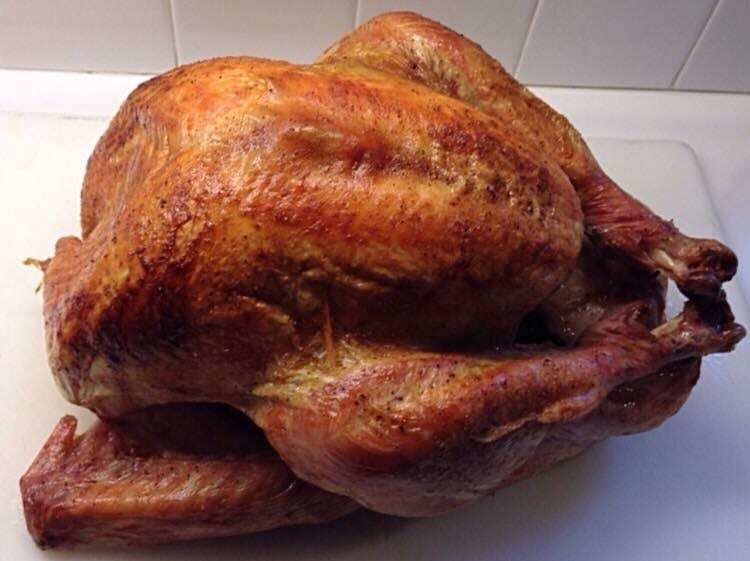 I keep it simple and my turkey always comes out moist and delicious. Then I season with salt and pepper including the inside of the turkey. Then into a 350 degree oven on a roasting rack in a roasting pan. After an hour I baste the turkey then only once again about 30 minutes later. Opening the oven to many times slows the roasting time down dramatically. I roast my turkey until the juices run clear when you cut between the leg and the thigh. Using a thermometer is always recommended. I remove and place the turkey on a platter and cover with aluminum foil and let rest for 20 minutes.